Studying World War One has been on my mind for the past while. The Great War set the course for all the events which came after it and deeply altered Western culture. The part this war played in shaping the fiction of Tolkien and Lewis has also aroused my curiosity. 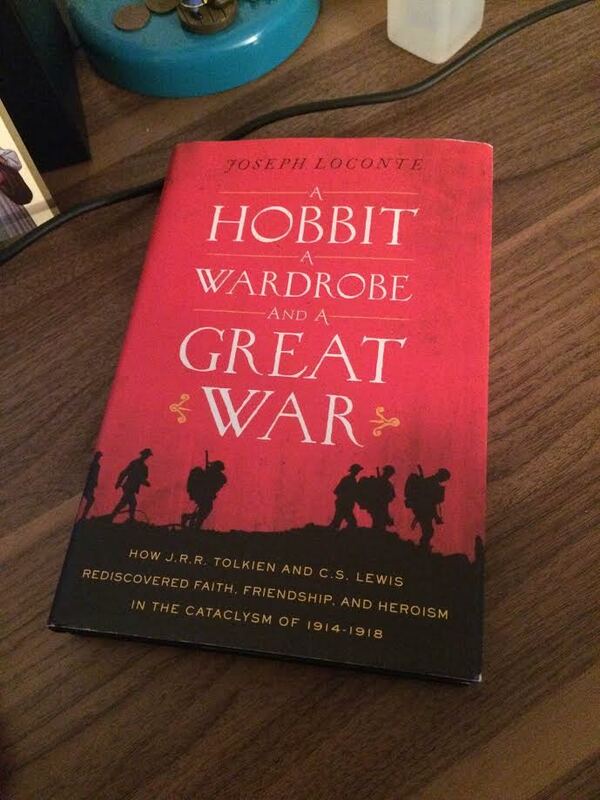 And so, this book supplies for both of my wants, since it describes the world prior to the war, the attitudes of Tolkien and Lewis to WWI, their careers during the war, and how it shaped their lives and works. The book contains an impressive amount of information in its short two hundred pages. The early chapters inform the reader of the important intellectual movements prior to the war. These movements proposed that science, technology, and the state could build a superior society without reliance upon God. Eugenics and Social Darwinism played a huge role in these Utopian schemes, which all crumbled in the cataclysm of 1914-1918. World War I ushered in an era of pessimism with patriotic and religious values being suspect and often disowned. Former soldiers often led the way in literature by sucking all the glory and meaning from war. The book attempts to answer the question why Tolkien and Lewis defended traditional values in a world where most intellectuals were turning against them. 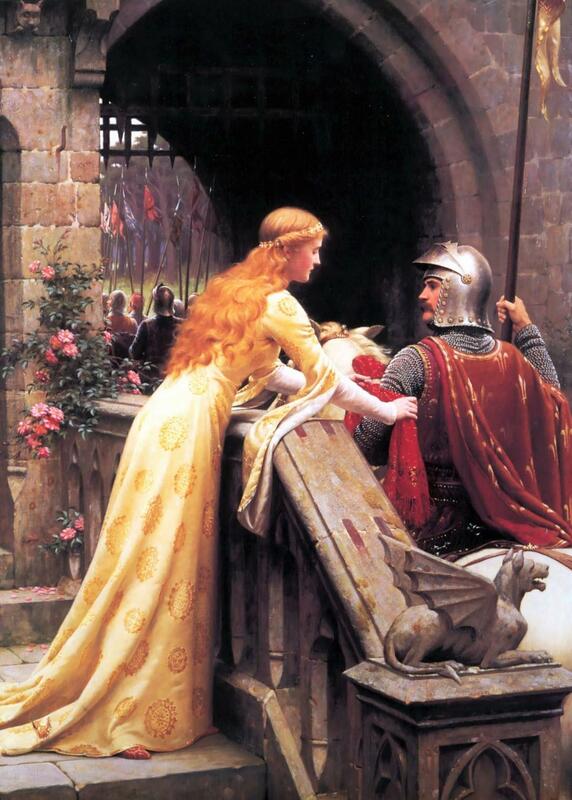 Those of you who follow my aniblog, Medieval Otaku, know that I proposed to write an article each day for a fortnight. Having fallen behind, consider this Friday’s article. 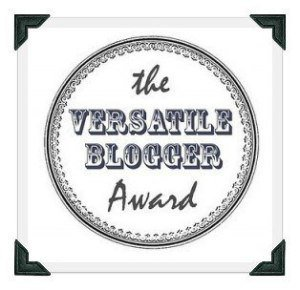 Deo volente, two more articles shall drop from my pen ere midnight tonight. (Yours truly is an incurable optimist.) Long waiting periods at NYC’s government buildings allowed me to complete a compilation of Hemingway’s essays titled A Moveable Feast. These articles were assembled by Hemingway’s fourth wife following his death and first published in 1964. My own 1977 edition has written over the top of it “By the author of Islands in the Stream.” This strikes me as odd for two reasons: 1) By April 1977, Hemingway’s fame had not apparently reached such a height that the average reader would know him sans connecting him to a more popular book of his; and 2) the understanding of which works rank highest in Hemingway’s canon (For Whom the Bell Tolls, The Old Man and the Sea, A Farewell to Arms, The Sun Also Rises, etc.) had not yet been established in its present form. 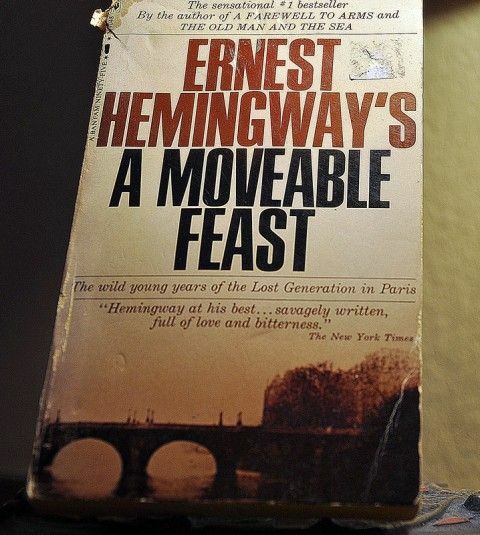 A Moveable Feast stands as a memoir of Hemingway’s early life in Paris following the First World War while he was still married to his first wife, Hadley. Not my edition of A Moveable Feast. This one has the kind of heading one would expect to see atop one of Hemingway’s books. This collection of essays strikes me as curious for a variety of reasons. 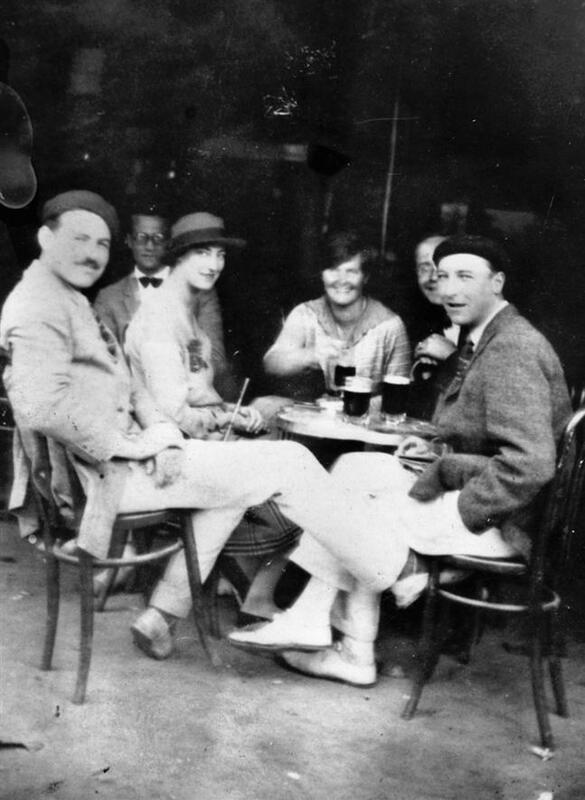 It immerses the reader in the “Lost Generation,” an appellation Hemingway himself detested, and in the lives of many important writers with whom Hemingway was associated: Gertrude Stein, Ezra Pound, and F. Scott Fitzgerald in particular. I was hoping that Hemingway at one point would meet Hilaire Belloc, but he seems to have mistaken Aleister Crowley for the distinguished writer. (Actually, comparing the two side by side, I can see how easily the mistake might be made. The two were only five years apart.) Hemingway’s description of Ezra Pound was perhaps the most interesting. The first thing most English students learn about Ezra Pound is that he wrote some very complicated poems called Cantos, the second is that he was a Fascist, and the third is to treat him like a leper. But, Hemingway recalls Ezra Pound as the most saintly man he ever met. Pound supported writers who sought his help whether he thought they had talent or not and spent many long nights talking writers down from suicide. The portrait painted by Hemingway is very compelling. 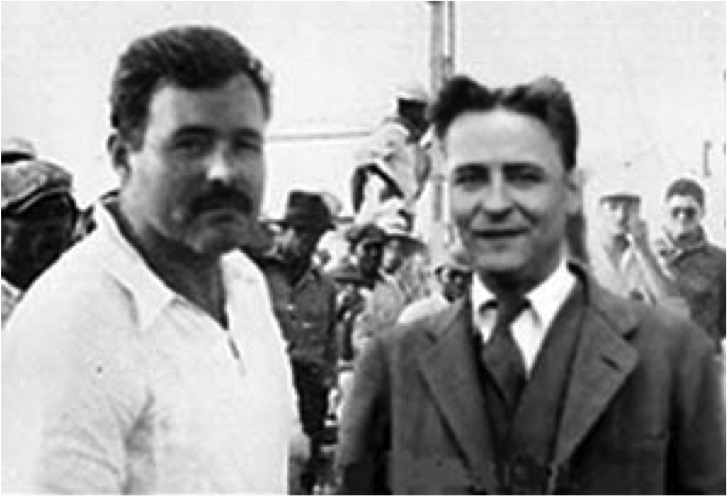 Then again, many essays are dedicated to Hemingway’s relationship to F. Scott Fitzgerald, whom Hemingway describes as an excellent friend when sober. One is shocked to learn just how much Fitzgerald’s wife went to sabotage her husband’s writing career. Also, the frankness of Hemingway and touchiness of Fitzgerald made it a sure thing that the two would eventually clash, leading to the deterioration of their friendship in 1926. Fortunately, Fitzgerald did not see these essays–many are hardly complimentary except for Hemingway’s praise of The Great Gatsby–as he died of a heart attack at the age of 44 in 1940. But, candor makes these essays great. Some lines made me flinch, especially his remarks concerning prostitutes in Kansas. The lack of respect toward one veteran of the French dragoons also shocked me. The establishment where this veteran worked as a waiter forced all of its employees to shave. This former dragoon’s service earned him no exemption, despite having won the Croix de Guerre (the French equivalent of the Medal of Honor) and the Military Medal. How can one think to diminish the dignity of such a hero? But, this event and others goes a long way to show the rift between those who fought in the war and those who excused themselves from the cataclysm. But, what else can I say? If you love Hemingway’s work and wish to know more about the man himself, you must read this work! Well, I couldn’t let M. Otaku have all the say on this great book. The Ocean at the End of the Lane is my favorite novel by Neil Gaiman. (I also loved Coraline, so there are not any real disagreements here.) I want to push back a little bit, though, on the idea that Coraline is better because Coraline takes care of herself. In a way, The Ocean at the End of the Lane is more like a true fairy tale. Consider the following: 1) an ordinary boy sets off on an ordinary road and finds something very extraordinary; 2) the ordinary boy survives/ succeeds only by the direct assistance of other beings who are vastly more than they seem; 3) the boy comes home again, not really through his own effort, but by obeying the second weird rule having put himself in all the danger by breaking the first. Point 1 applies to both Coraline and The Ocean at the End of the Lane, but in 2 and 3 they diverge. In a way, Coraline may be considered a type of Superman who, through her own wit, strength, and will conquers the ‘other mother’. 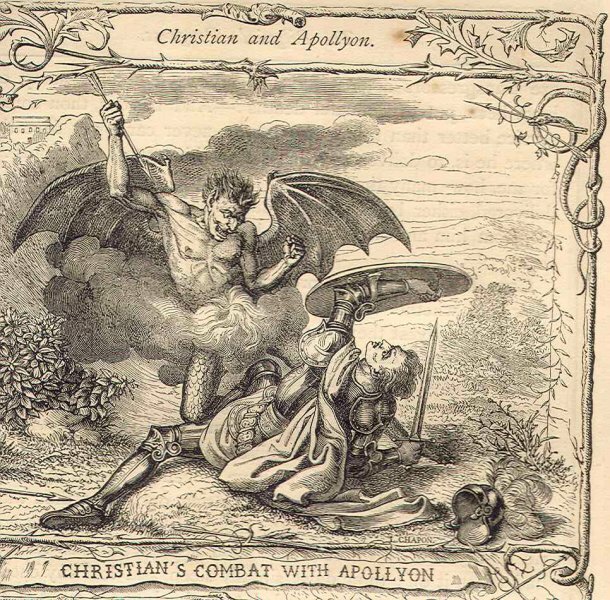 In The Ocean at the End of the Lane, the boy is a type of the Christian view a mankind, essentially powerless and under assault from evil forces far outside his ability to even comprehend; in need of a champion in the fight. The boy, through the instinct of his nature, disobeys the first of what we can call the ‘Dont eat the fruit of this one tree’ type commands. And, after being plagued by the repercussions of his disobedience, flees to those who can save him. Then, though sorely tempted, he obeys the second (to stay in the fairy ring) and is saved…. Anyway, I guess I didn’t like that Coraline fixes everything on her own, it seemed so… impossible. My introduction to Charles Dickens, like most people, came in the form of watching A Christmas Carol. 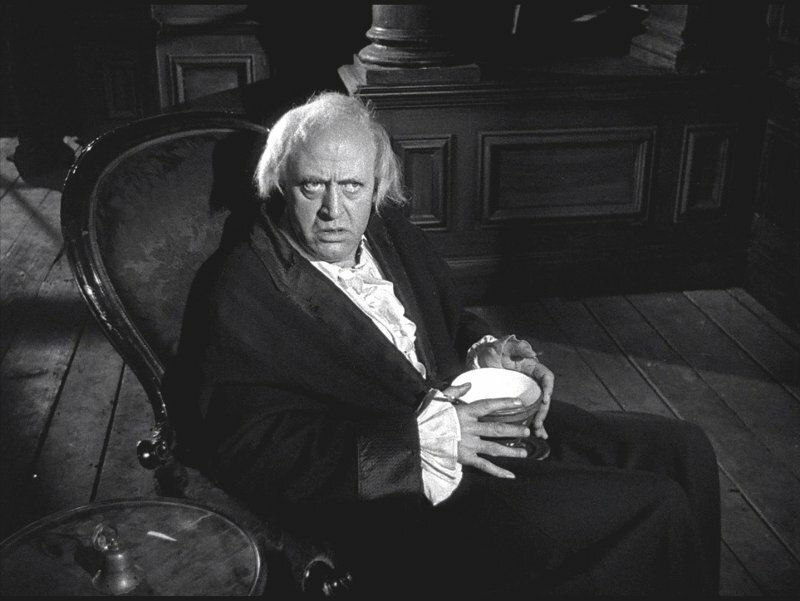 In my case, the adaptation starred Alastair Sims as Scrooge, whose performance has yet to be surpassed. At some point in my early teens, the idea struck me that I should tackle one of Dickens’ novels. For this purpose, David Copperfield seemed best, only this choice bored me to tears. (At least, it did not bore me so much that I drooled on the page, as occurred while I read a history of early Japan.) A few years later, another Dickens novel was tried and produced the same effect. From that point, I decided A Christmas Carol, the short story, was the only work of Dickens worth reading–and it is a masterpiece. Lately, that A Tale of Two Cities stood as the bestselling novel of all time–at least, according to Wikipedia–came to my attention. Curious, I checked out the audio book from the library in order to listen to it as I drove. Well, my dear readers, I began not to want my drives to end. Unlike certain previous experiences of Dickens, I found the characters and writing very vivacious. This book well deserves to be among the classics of world literature. Great personalities fill its pages, suspense practically drags the reader willy-nilly through the book, scenes of towering moral courage delight the audience, and it offers a great historical perspective of the times before and during the French Revolution. A true work of genius! And so, I find myself ready to give other works of Dickens a shot. But, I need to whittle away more on my private library before I take more books out from the public one. I recently picked up my collected works of Nathanial Hawthorn, only to be reminded of how brilliant he was, and how sad it is that top ten lists can only have ten items on them. 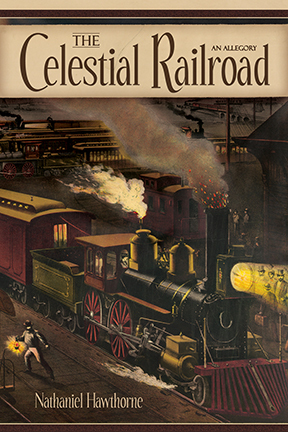 In particular, I was reading ‘The Celestial Railroad’ which is available from Gutenberg Press. The story was written in 1843 (according to the date on the website for the story… I didn’t look it up anywhere J ). It is almost shocking how all of the roots of postmodern life are on full display in this story. I would say that the real humanistic modernism was already plunging headlong off the cliff, they just hadn’t hit the pavement yet (that would the World Wars in this brief but hopefully apt analogy. Anyway, I will copy a few passages here so that you know what I was talking about. There was much pleasant conversation about the news of the day, topics of business, politics, or the lighter matters of amusement; while religion, though indubitably the main thing at heart, was thrown tastefully into the back-ground. Here the burdens are kept for safekeeping in a baggage car, Apollyon is the chief conductor, and gas from the Valley of Humiliation is piped into a system to be burnt to light the way. He is a German by birth, and is called Giant Transcendentalist; but as to his form, his features, his substance, and his nature generally, it is the chief peculiarity of this huge miscreant, that either he for himself, nor anybody for him, has ever been able to describe them. As we rushed by the cavern’s mouth, we caught a hasty glimpse of him, looking somewhat like an ill-proportioned figure, but considerably more like a heap of fog and duskiness. He shouted after us but in so strange a phraseology, that we knew not what he meant, nor whether to be encouraged or affrighted. And what he writes about the education is so spookily similar to post-modern education, one would think that the post-moderns lived in the 19th century… that and the communilization (if that’s a word) of morals. The labors of these eminent divines are aided by those of innumerable lecturers, who diffuse such a various profundity, in all subjects of human or celestial science, that any man may acquire an omnigenous erudition, without the trouble of even learning to read. Thus literature is etherealized by assuming for its medium the human voice; and knowledge, depositing all its heavier particles- except, doubtless, its gold- becomes exhaled into a sound, which forthwith steals into the ever-open ear of the community. These ingenious methods constitute a sort of machinery, by which thought and study are done to every person’s hand, without his putting himself to the slightest inconvenience in the matter. There is another species of machine for the wholesale manufacture of individual morality. This excellent result is effected by societies for all manner of virtuous purposes; with which a man has merely to connect himself, throwing, as it were, his quota of virtue into the common stock; and the president and directors will take care that the aggregate amount be well applied. All these, and other wonderful improvements in ethics, religion, and literature, being made plain to my comprehension, by the ingenious Mr. Smooth-it-away, inspired me with a vast admiration of Vanity Fair. The depiction here of a society that pretends to be on a pilgrimage while going nowhere is so oddly in sync with the modern world. It is a strong reminder not to look wistfully at the past as if it was a better, or more Christian, or more moral time. Rather we must set our resolve and deal with that hallowed time where eternity touches us: the present. I imagine that there is much to learn from Hawthorne… also he is a high-class storyteller, so I plan to re-read him. (I think I have read nearly everything he wrote already, but it’s been a while…) I think you should too, or read for the first time. Here’s an article which shows that one should never compliment a book, especially by an unfamiliar author, too highly before one reads all the way through! I offered high praise to George Bernard Shaw in this article. In particular, I feel foolish in thinking that Shaw was using paradox when Jack Tanner said the devil was father of morality. The fool really believed it! But, who would not believe that he was speaking at least facetiously upon first reading this line? At any rate, I read this play hoping to eliminate some of my prejudices against authors of different positions, but rather had them confirmed! 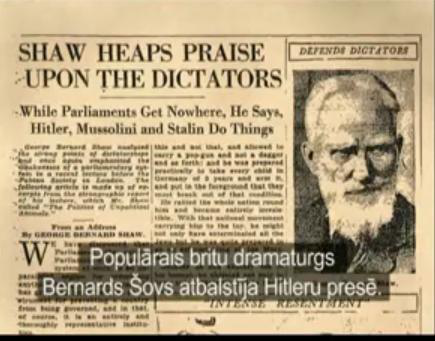 My opinion that Shaw was on the wrong side was bolstered by watching this clip of Shaw defending Hitler and Mass Murder and another of Shaw saying the Constitution should be abolished. I have to thank Joe_Bakunovic for alerting me to Shaw’s dark side. Yet, if all I could bring against Shaw were his political opinions, that would be insufficient reason not to read his work. In the same way, a chess player should not allow the fact that Alexander Alekhine ended his life as a Nazi or that Bobby Fischer became anti-American to prevent him from studying their games. But, the sort of edification one receives from reading Shaw is similar to that which one obtains by the study of poison. Shaw writes outside the Western tradition. In the tradition of the West, Truth, Beauty, and Goodness are together and what people most want. Shaw divides Truth from Beauty and leaves it to the reader to decide which is more worth seeking. Heaven represents Truth (an odd thing for an Atheist to say) and hell Beauty. In one telling scene, dead souls have the ability to switch between hell and heaven depending on which they prefer. Heaven is the domain of philosophers and conformist bourgeois; hell the domain of the romantics. 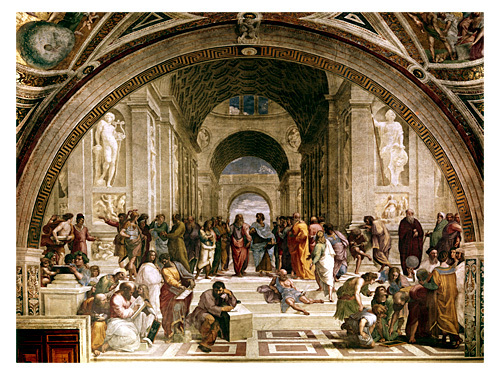 The truth is that heaven has room both for Plato and Petrarch–for St. Thomas Aquinas, who approached God as a philosopher, and St. Ignatius, who approached Him as a knight errant. Further, Shaw makes the great error of thinking of people as means rather than ends. (As might be apparent from the two videos above.) Every relationship is one of utility: men use women for pleasure and comfort; women men for children, freedom, and material goods. Love between persons cannot exist where everyone is treated as a means. Saying, “I love you for the pleasure and comfort you provide me” means about the same as “I love pleasure and comfort, which another woman could provide.” This causes the traditional institution of marriage simply not to make sense. Rather than “Till death do us part,” the modern marriage vow would be “Till you no longer provide what I want do us part.” The play is a comedy, and, like traditional comedies, it ends in a marriage; yet, marriage–particularly this marriage–is viewed as a tragedy rather than as something about which to be joyful. The separation of the Platonic ideals and treating people as means harm the human psyche more than any other error. Shaw ought to have rooted himself in Western tradition. Instead, Shaw’s philosophy leads not only to one separating oneself from the Western tradition but even the human race and happiness itself. As such, I recommend my dear readers avoid Shaw like the plague–as I shall from this point. This is just one proof that I need to talk or at least communicate somehow with M. Otaku more often. I have been procrastinating writing about Neil Gaiman and specifically American Gods for quite a while now. Recently, as I was trying to explain to him the Neil Gaiman experience and the book American Gods in particular, a few utterly new thoughts occurred to me. Obviously, what follows is a bit of a ramble: I am in an Airport, and I should be planning for my interview tomorrow, but these ideas are too pressing to leave for later. You see, after reading American Gods, I could not bring myself to read any more Gaiman because, well, bleak does not begin to describe it…. captivating and bleak. I found myself in serious conflict because this was the same author (and, at a similar time, according to the prologue) as the writer of Coraline which was my second Neil Gaiman experience, and the two books could not be less similar. Coraline is brave and hopeful. American Gods is dank and pervaded by nihilism; although, dank is probably the best description. Coraline is brief and shining, American Gods rambles and everything that shines is fool’s gold. So, which author is Gaiman? Obviously, that cannot be answered, and I am not sure that Gaiman knows. Coraline rises to the level of Narina, books that Gaiman obviously loves and cherishes. I thought, at least at first, that he has some traces of C.S. Lewis’ Christianity and that the ghosts of Christians past sort of haunt Neil Gaiman and his writing. In that case, the ‘Coraline’ would be just the story with the strongest haunting (as the West, now mostly deceased, is haunted by its belief and Christianity yet), while American Gods shows most clearly that desperate nihilism that the postmodern world abides in: the hopes of modernism having been smashed to bits starting 100 years ago this year. Now to tell you about American Gods. (This post wanders like the book, and is therefore fitting 🙂 ) If you care about spoilers–tough. The really good stories don’t depend on petty little secrets. The core idea is that people made the gods, but nevertheless, the gods are real. They have some real power, more real the more they are worshiped obviously. However, when people immigrated to America, they brought the gods with them, and America is a harsh place for the gods. They scrabble by, and Oden doesn’t like that. (Obviously…) (And if you whine about me letting the cat out that it was Oden, all I have to say is: the character calls himself Wednesday, its not like its a secret.) He gathers together the old gods to do battle with the new, and hopefully win their places back against the gods of the modern world. (Like the CIA spooks that everyone knows exists etc.) The main character is shadow, and he sees what he sees. Gaiman keeps what I think is a fundamental rule. He allows his characters their privacy, only telling us stuff when we need it. Obviously, I enjoyed the fact that a lot took place in Wisconsin, and Neil Gaiman. has obviously been there for at least one winter. But the gods, the gods are dismal, and their depredations ranging from petty to horrifying, their origins following similar pattern. Although one is so tragic, and yet so believable, you will (or should) at least weep internally. Oden’s plan eventually falls apart, but nothing is really changed, nor is there any joy in the story. But, thus is the face of the real world without including Christ. Thus was the ancient pagan world and thus is the modern pagan world. There is nothing for people except nothingness and to forget death for an hour in battle like Gunthram. It is remarkable that Jesus is never seen, nor mentioned. Only the old, squabbling, evil, petty gods, shown for themselves, not as they pretend. Wormwood in tights so to speak. It is entirely possible that Gaiman left Jesus out for the main reason that He is real, and not a figment of peoples imagination powered by people’s minds. I see no other good reason to leave out of America the defining belief of at least half of its people. Sometime, I might well write about one of those specifically, but, for now, you at least know how I sorted out the enigma of Neil Gaiman.